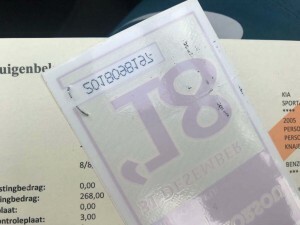 WILLEMSTAD - The plan to collect vehicle taxes with new license plates next year is going to be put on hold for the moment. The tax authorities will not be ready on time. An additional 12.5 million Dutch guilders will have to be collected between 2014 and 2017. And a quarter of motorists did not pay taxes in 2017 either.